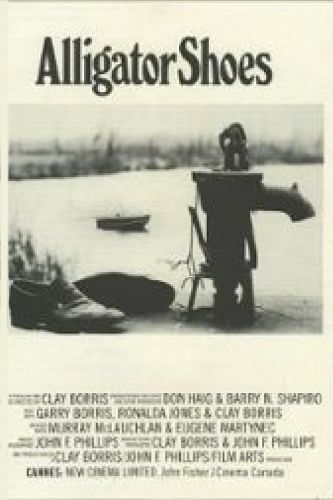 This Canadian feature-length oddity was produced, directed and written by Clay Borris; it starred its director and his brother Gary Borris, along with the rest of the Borris clan. The loosely constructed plot revolves around two grown-up siblings who still live with their parents. Their already precarious lifestyle is threatened when their mentally unbalanced aunt comes to stay. The best scenes occur in the streets of Toronto, as we watch con-artist Gary Borris plying his trade on the unwary. Critics loved the exceedingly modest but engagingly energetic Alligator Shoes, labelling it the ultimate in cinema verite. Nonfans of Clay Borris' what-the-hey technique tend to regard this independent production as something along the lines of "Canadian's Most Dysfunctional Home Movies."